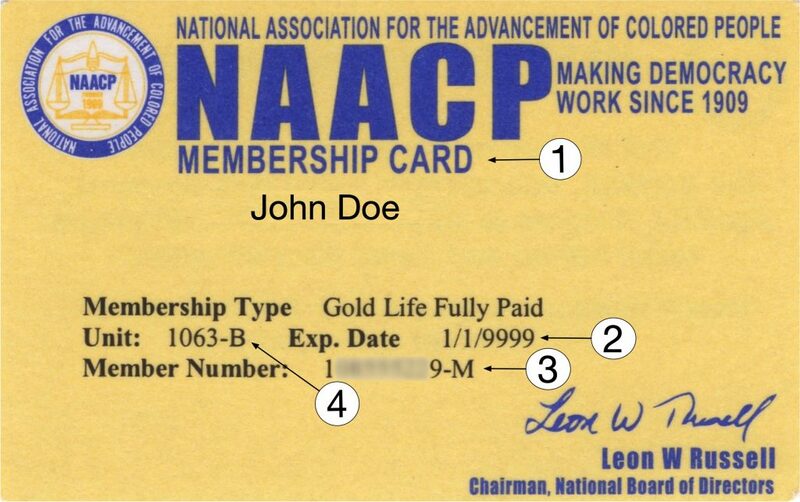 If yours says “RECEIPT” in red, it means you only have your receipt from NAACP San Diego Branch; your permanent card, when it comes will say “CARD” in blue. Regular Adult memberships are issued for one year. Check your expiration date and aim to renew one month in advance. Lifetime Memberships, not fully paid, have an annual expiration date until paid in full. Lifetime Memberships fully paid list 1/1/9999 as an expiration date. This is your Membership number. If you ask us questions about your membership, please refer to this number. Check your branch number. The San Diego Branch is #1063-B. If your card lists any other Branch number, and you would like to become affiliated with the San Diego Branch, contact [email protected] and a unit transfer form will be sent to you. In person on at 6:00 pm on the first Thursday of the month at The General Membership Meeting in the Jacobs Center Community Room, 404 Euclid Ave.
Misplaced your Membership Card and have questions? Contact [email protected] and we will straighten it out! 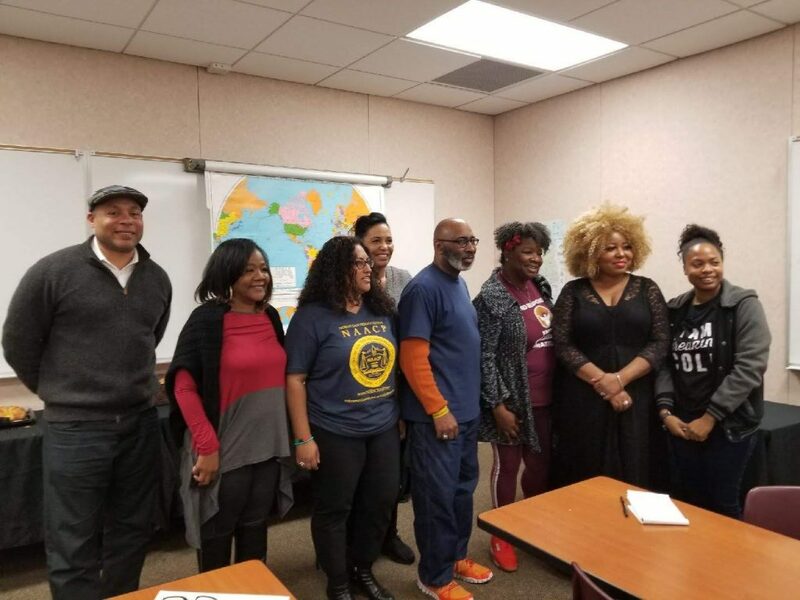 On February 23rd some of the newest members of the NAACP executive committee had the opportunity to attend a leadership training that was coordinated by the North San Diego branch and facilitated by a state and regional NAACP leader. During this training we were given information regarding best practices in financial management, social media use and public relations as well as the roles of various officers and committees. 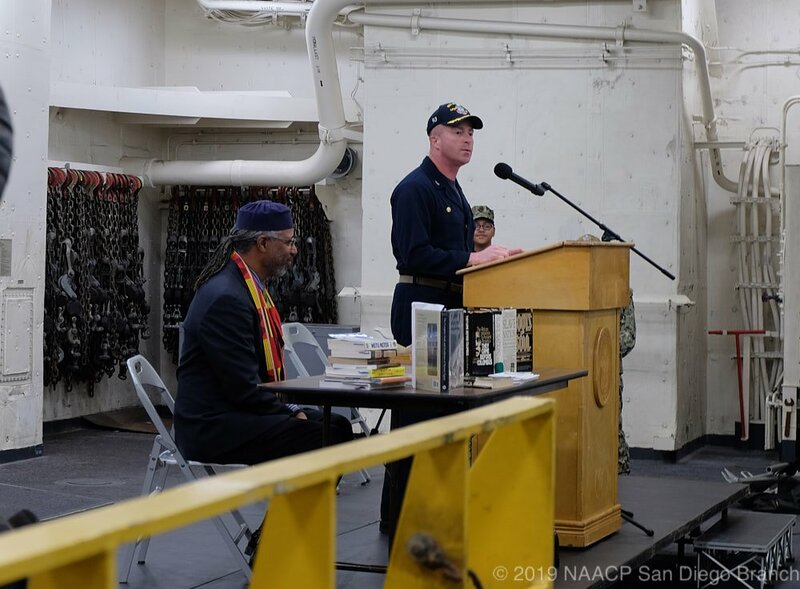 The San Diego Branch attendees learned a great deal and very much enjoyed the opportunity to build camaraderie amongst ourselves and with the members of our sister branch. 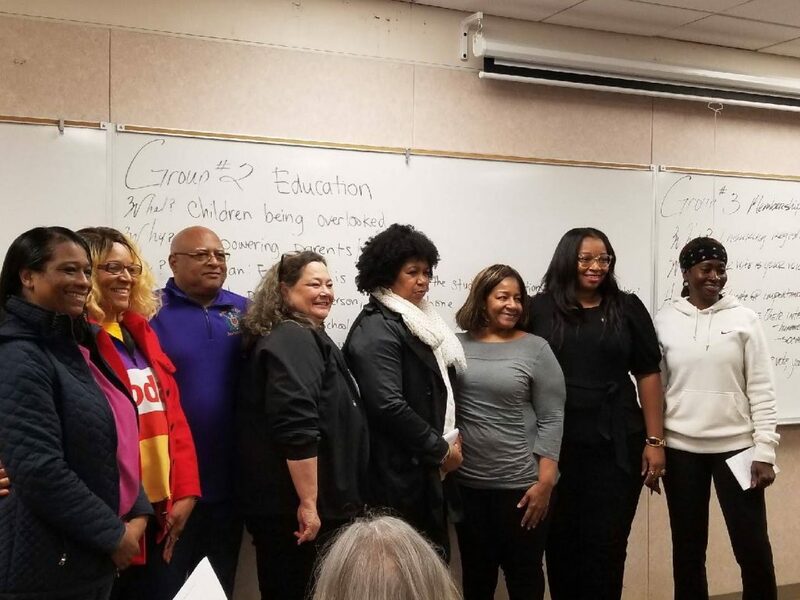 We are very excited to bring back the information that we learned and use it as a catalyst for advancing our branch’s initiatives towards the advancement of colored people in the central San Diego region. Regarding Mr Baldwin, Ms Morrison and … Mr Smollett? The following letter also appeared as an op-ed in the Union-Tribune. This looks like a great event! We recommend all ACT-SO STEM competitors attend! 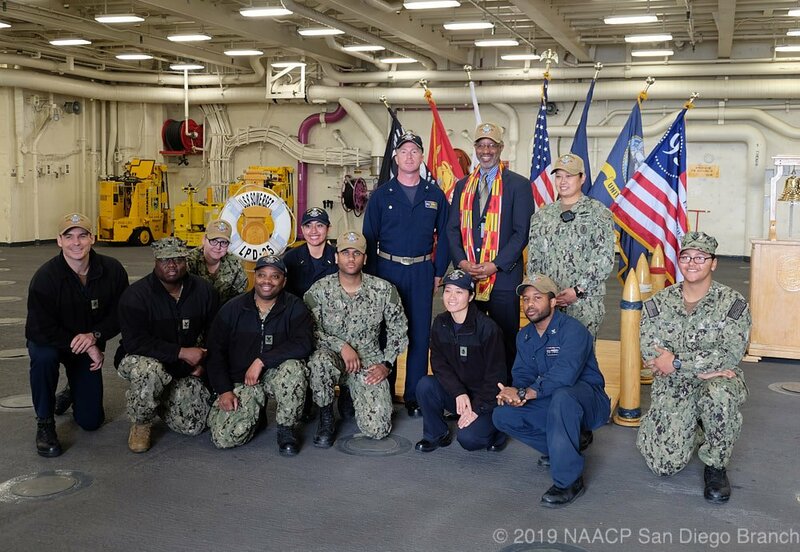 On February 13th, NAACP San Diego Branch President Clovis Honoré was invited to address the officers and crew of the USS Somerset on the topic of Black History Month. 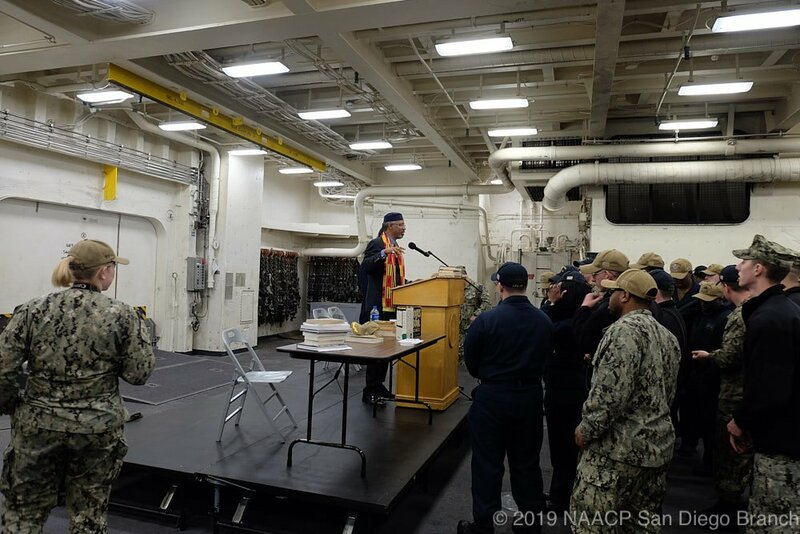 He was made to feel extremely welcome, and we were gratified to see the attention and interest of all the service members. 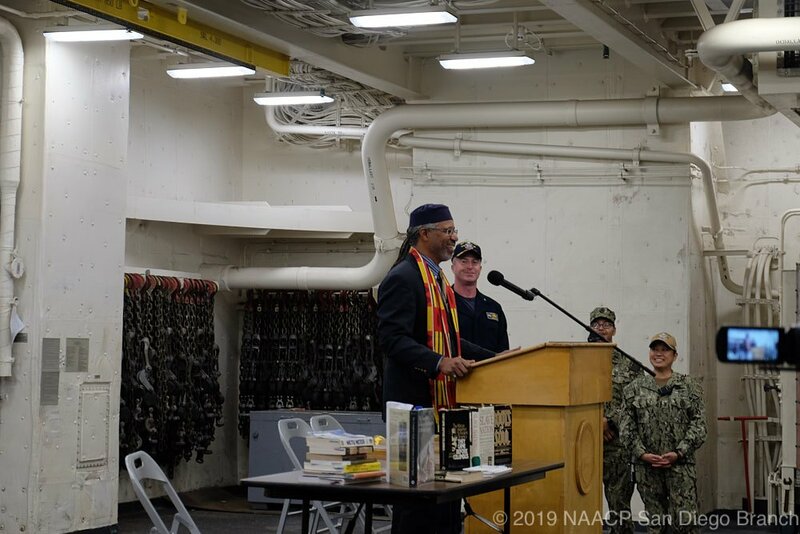 On February 13th, NAACP San Diego Branch President Clovis Honoré was invited to address the officers and men of the USS Somerset, an “amphibious transport dock” of the US Navy. 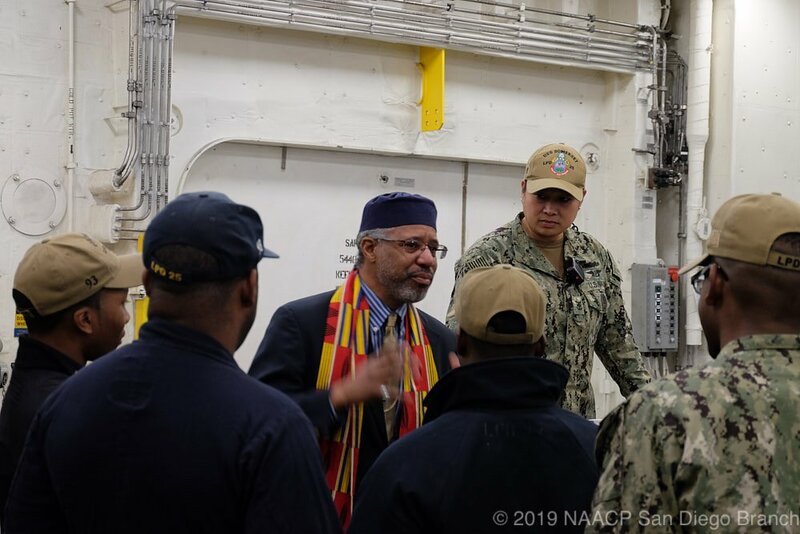 Contrary to its rather pedestrian job title, the Somerset is an advanced part not only of the Navy’s ability to support amphibious warfare, but also has played crucial roles in humanitarian relief efforts. As easily as it can put Marines on a beach, it can take threatened civilians off a beach. 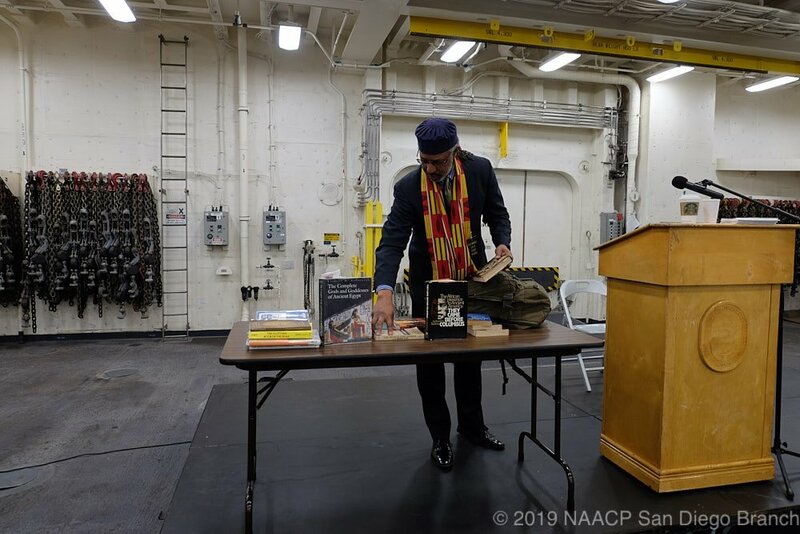 EC3 Penrose, a member of the Somerset’s Cultural Diversity Committee, asked the NAACP if we could supply a speaker for their Black History Month program, and we were very happy to do so. 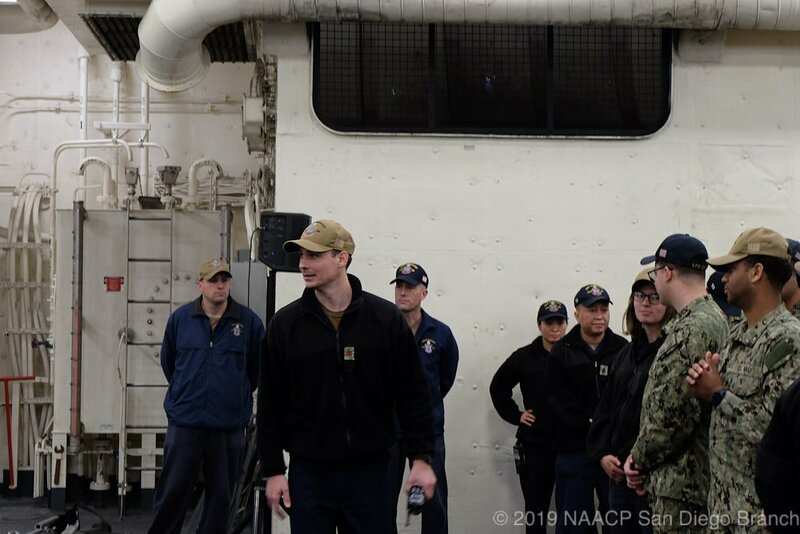 We arrived during the middle of a security drill, which made getting on base rather more difficult, but EC3 Penrose sent FC1 Watkins to our aid, and we were soon boarding the Somerset. Once there, we were greeted by Executive Officer Brayton. After setting up for our talk, Captain Bateshansky arrived, and greeted us warmly. 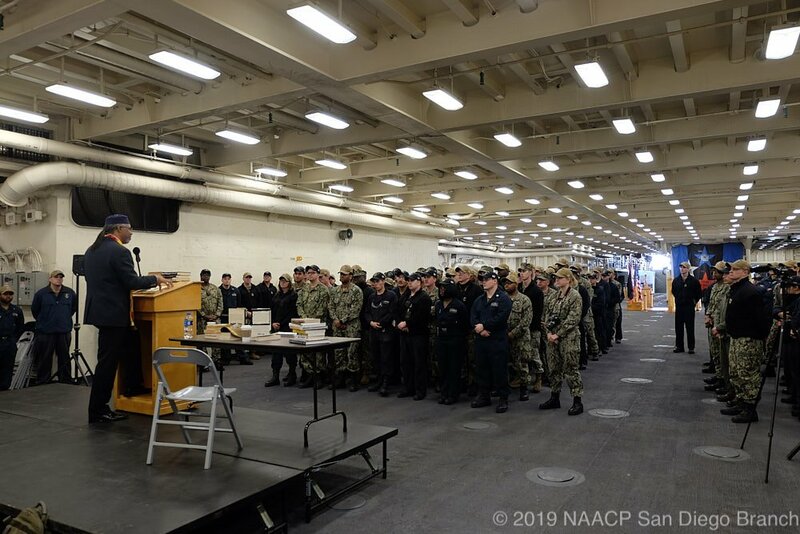 Mr Honoré’s talk was listened to with interest by the 100 or so sailors present. 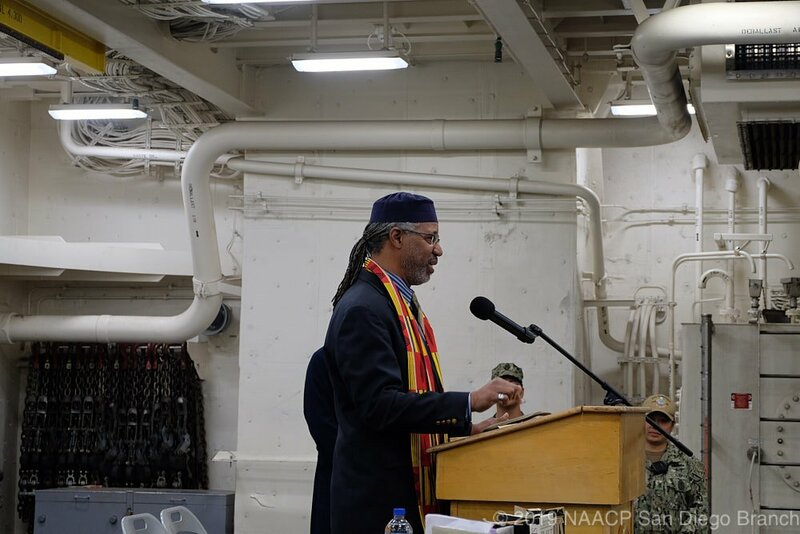 Sadly, his remarks were extemporaneous, and we cannot provide a transcript. However, you may view the talk in its entirety above. After the conclusion of his talk, the men and women of the Somerset crowded eagerly around to ask questions and take pictures with Mr Honoré. Finally, we were given a tour of the ship, led by DC2 Vaugh, the Somerset’s Sailor of the Year. The tour was fascinating, including the ship’s museum. 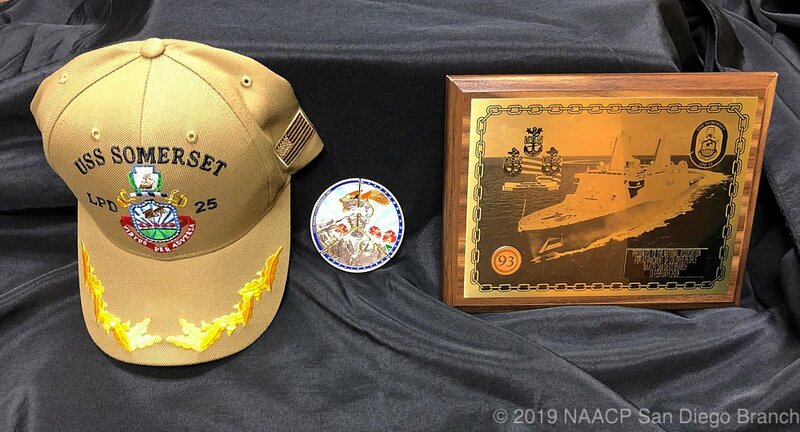 In the museum (and throughout the ship) are memorabilia of the victims and families of United Flight 93. Flight 93 was the flight whose passengers took back from the 9/11 hijackers and prevented its being used as a weapon, at sacrifice of their own lives. 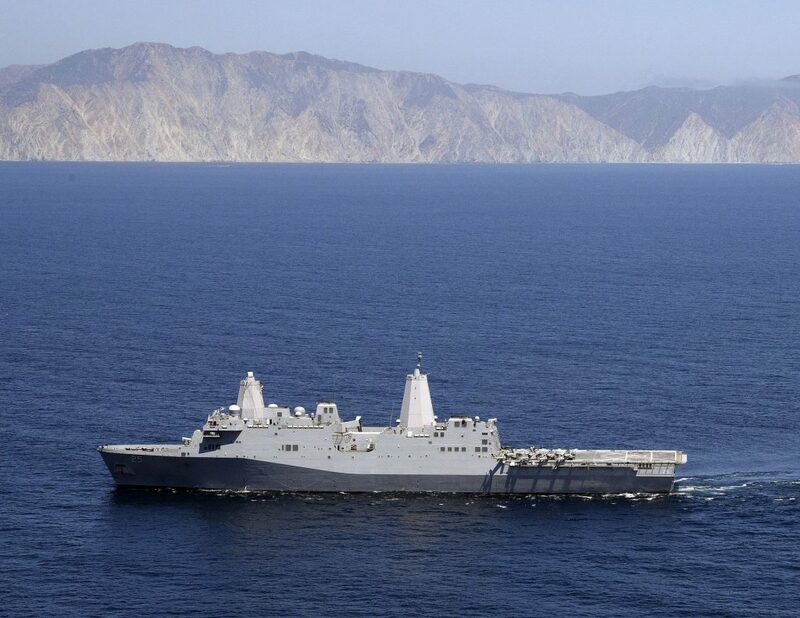 The USS Somerset was christened in their honor, and bears the name of Somerset County where the flight crashed. Clovis lays out a tiny part of his library. EC3 Penrose and President Honoré take a moment. Captain Bateshansky and President Honoré meet. 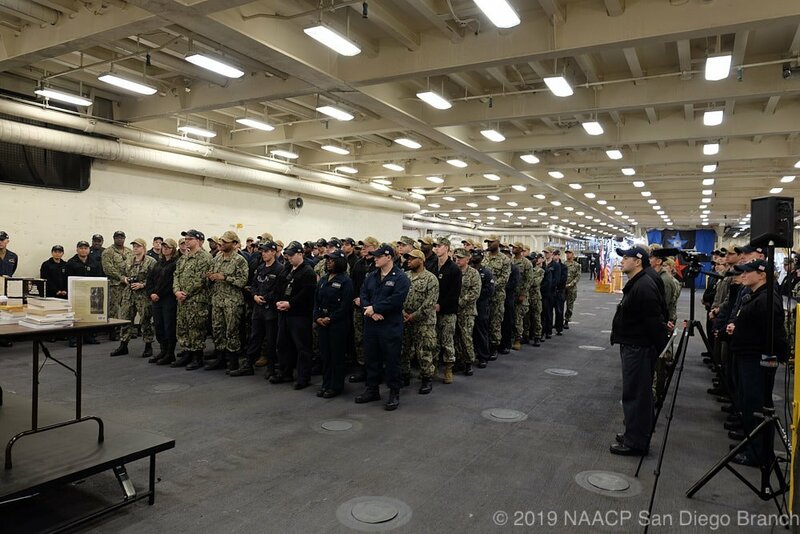 The sailors listen intently to their Captain. 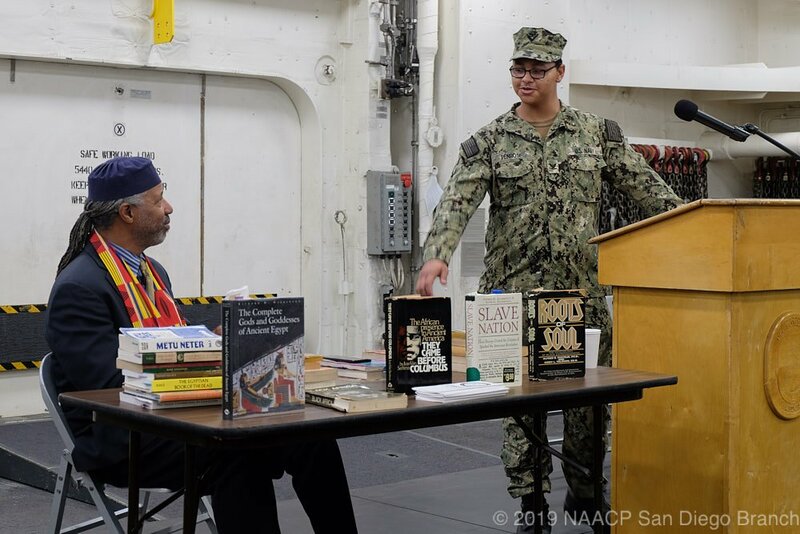 Captain Bateshansky explains that he likes to get others to present from their experience. Clovis eases into his talk. 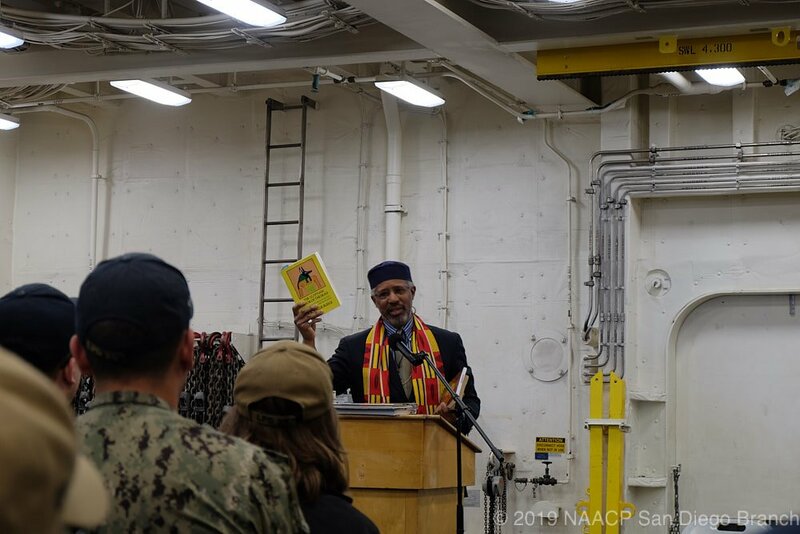 Captain Bateshansky was attentive throughout. 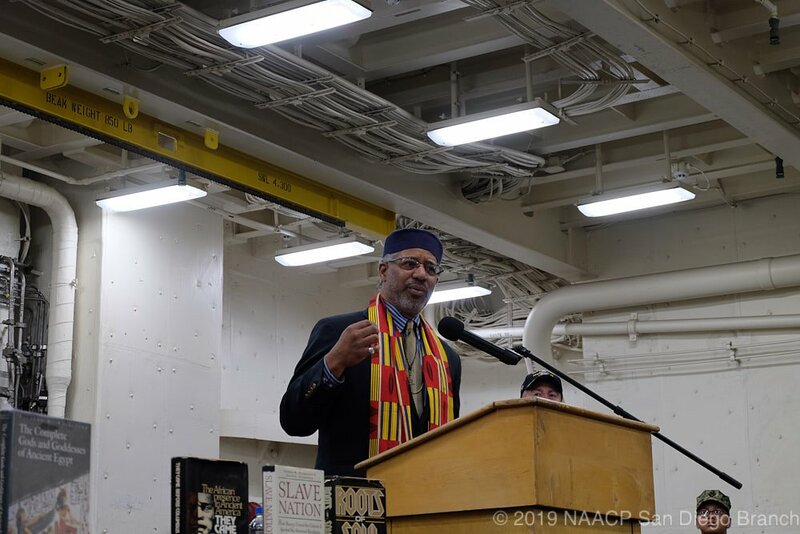 Clovis took us through part of his library of African history, which he explained is everyone’s history. 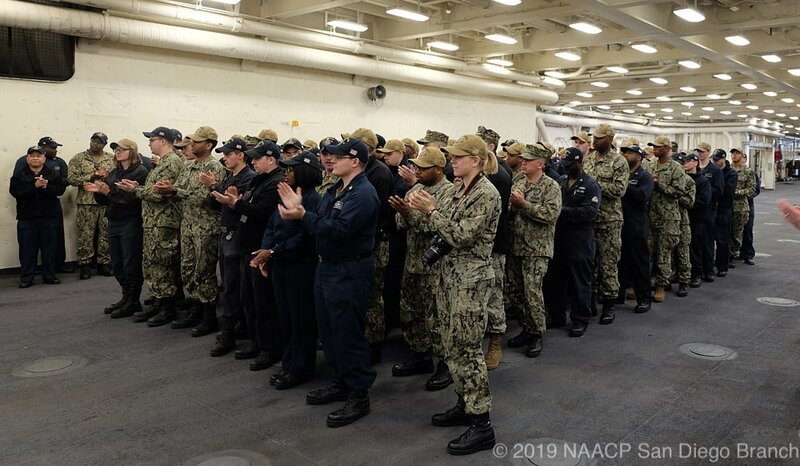 The sailors crowd around to ask questions. 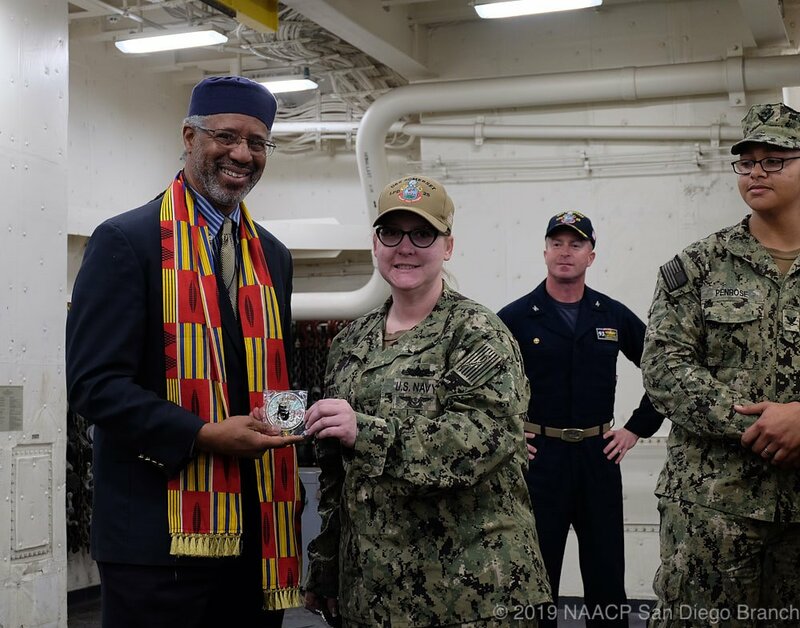 FC1 Watkins presents a ship’s coin to President Honoré, as Captain Bateshansky and EC3 Penrose look on. 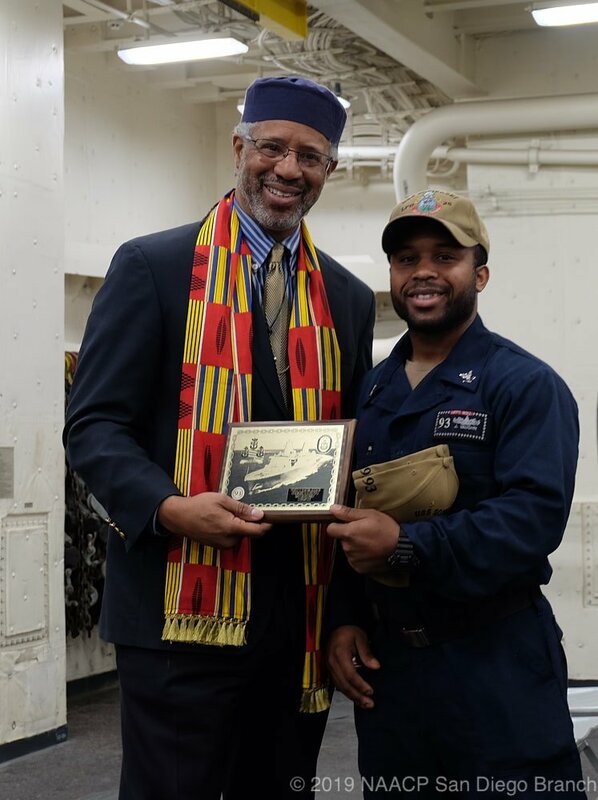 DC2 Vaughn, Sailor of the Year and our tour guide, presents a ship’s plaque to the Branch in the person of its President. Clovis makes a heartfelt point. The gifts the Branch was so graciously given! 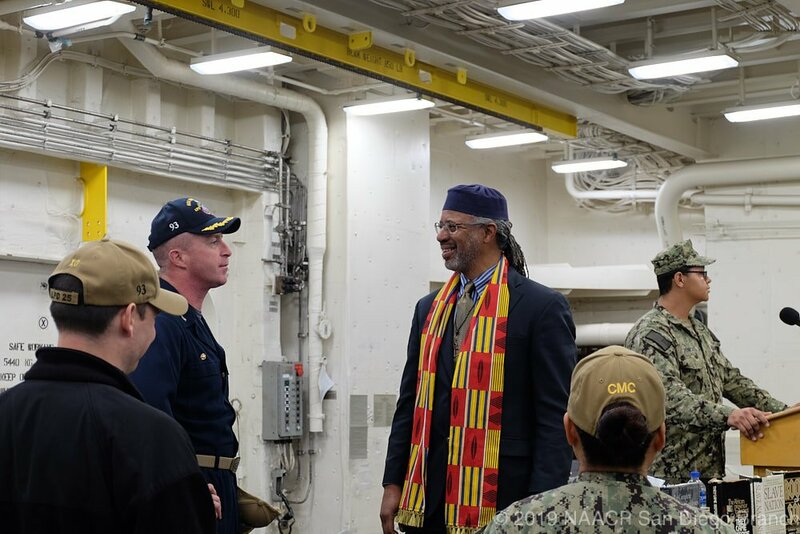 It was a solemn and moving experience to present aboard the Somerset, and we look forward to cementing a strong relationship with the Armed Forces, not only aboard the Somerset but across all of San Diego.